Who is Lil’ Fairy Illumie? 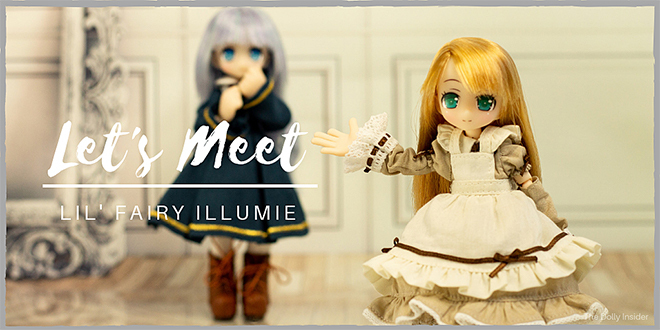 Illumie is from Azone International’s Lil’ Fairy series. She’s an apprentice fairy along with friends: Harmia and Pitica. 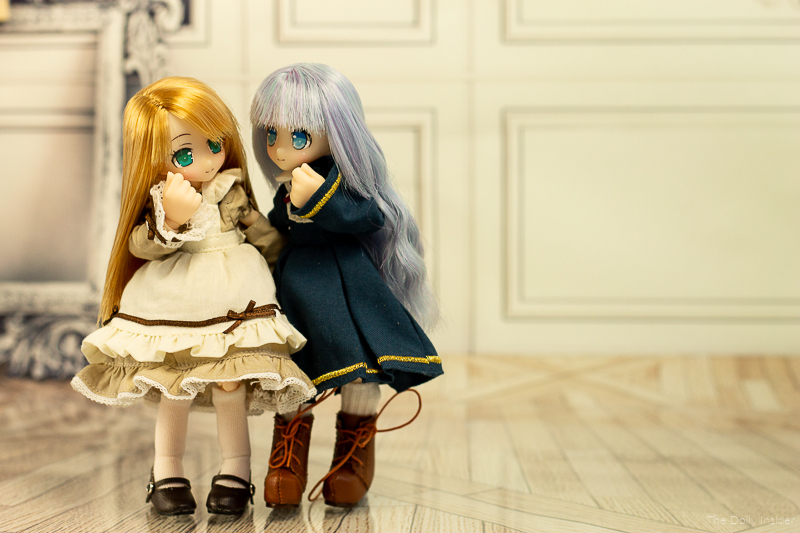 Illumie is 1/12 scale on a Picco Neemo D Sister body. Her mentor is Lil’ Fairy Erunoe. Adorable facial expression - her big innocent blue eyes, rosy cheeks & cute smile highlight her playful personality. Every time she looks at me, or rather when I look at her, my heart melts. The Lil’ Fairies have a way of tugging on my heartstrings. With each release it gets harder for me to resist adding another one to my collection. Beautiful & colorful wavy hair - it's one of the main reasons why I wanted to add her to my dolly family. The lavender color & wavy texture is such a wonderful combination on her. 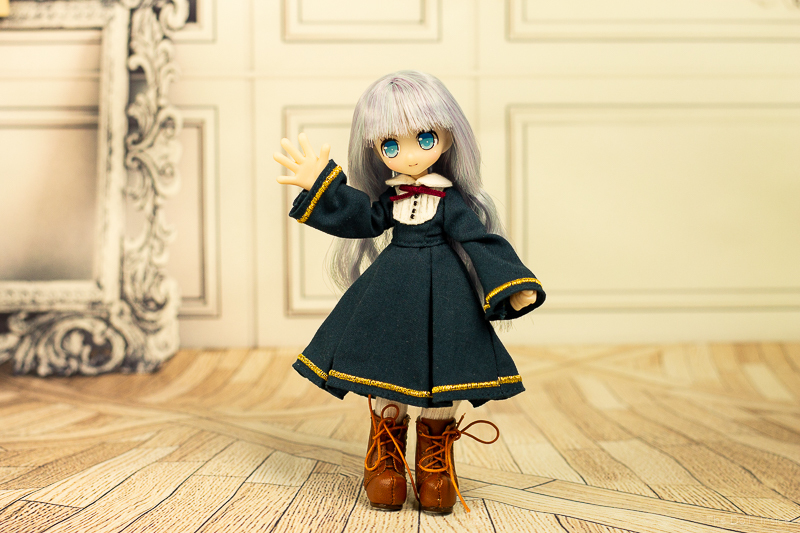 Love Extras: Illumie came with 5 pairs of hands, a beret, a cape, and a Fairy Bible. Her wavy hair (yes, it's something I like and dislike). It’s cute but it’s a challenge to keep it from becoming unruly. 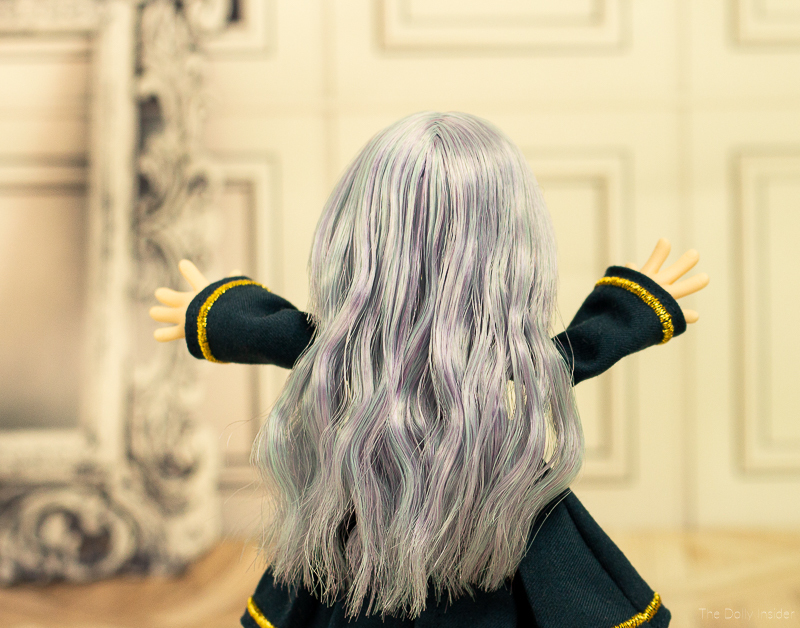 I use Azone’s Doll Oil Mist (used in photos above) and it helps tame the hair. Although, within a few hours, the hair is wild again. 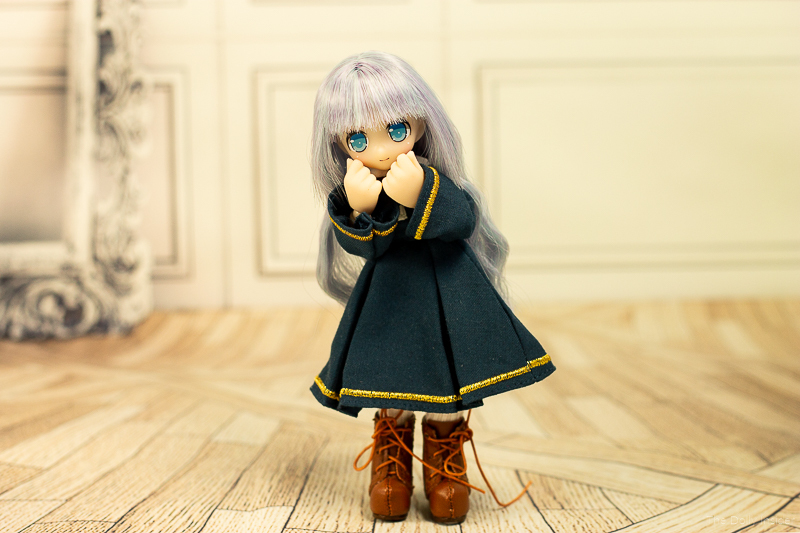 Her school uniform. I'm not in love with it but that’s how I feel about all the Lil’ Fairies’ Association uniforms. The heaviness of their uniforms covers up their personality a bit. But there's an easy fix, buy new clothes! I love everything about Illumie! She’s my exact size and we have a lot in common. We have fun playing and goofing around. What are they whispering about? Illumie is not perfect but the amount of joy she brings me and Harmia outweighs the minor issues that come with her. I’m glad she’s a part of my dolly family. 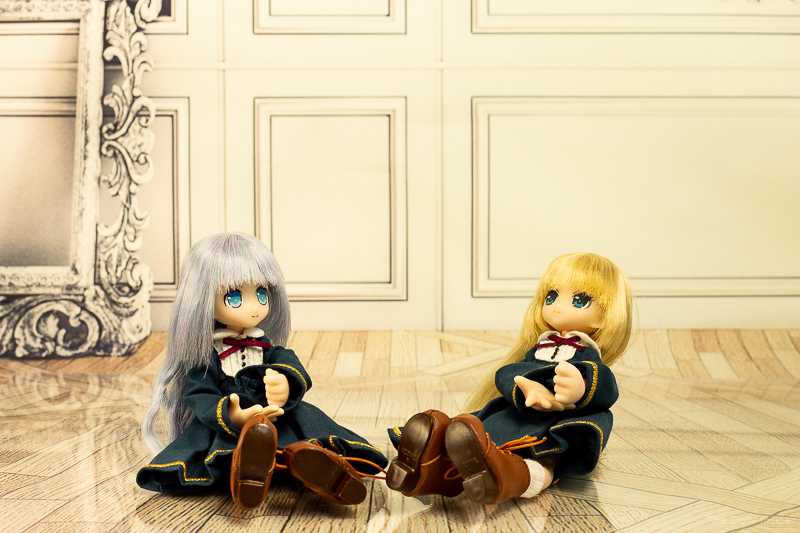 Do you own any sister Lil’ Fairy girls?